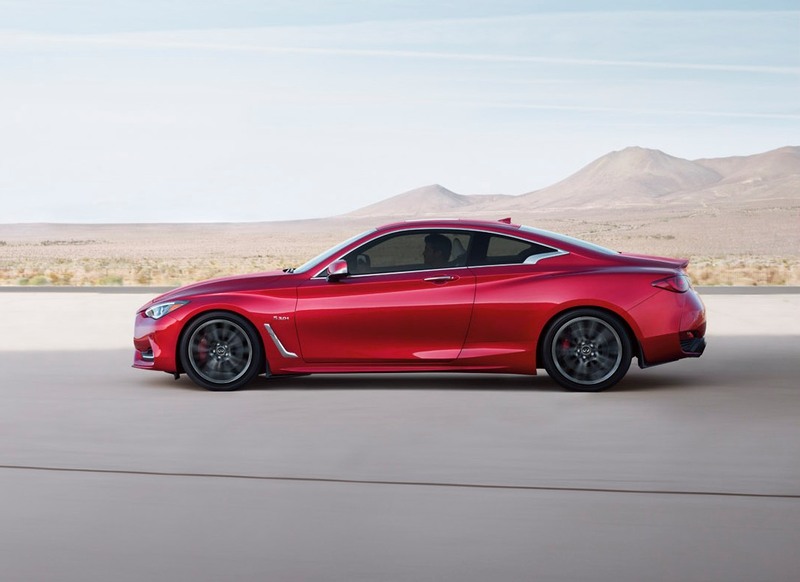 INFINITI have announced pricing for the all-new 400-horsepower 2017 INFINITI Q60 Red Sport 400 sports coupe, which will begin arriving at INFINITI retailers nationwide this month. 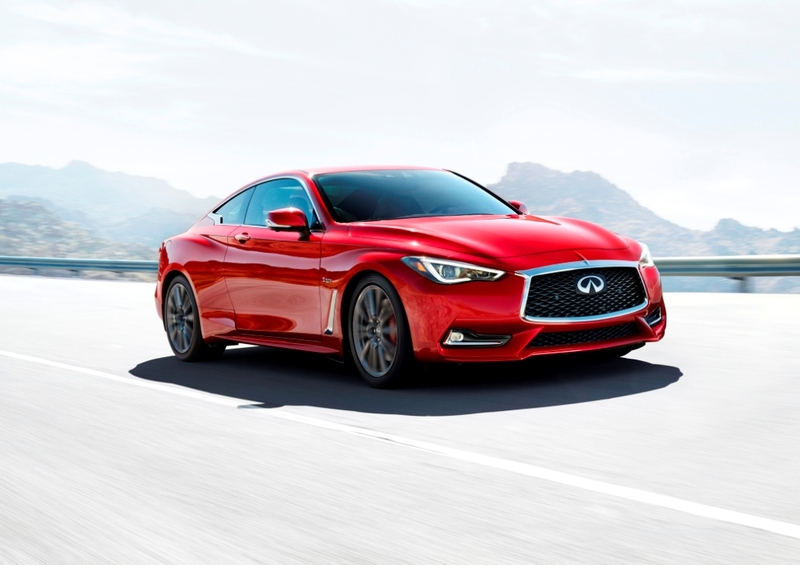 Pricing starts at $51,300 for rear-wheel drive models and $53,300 for models equipped with Infiniti Intelligent All-Wheel Drive. 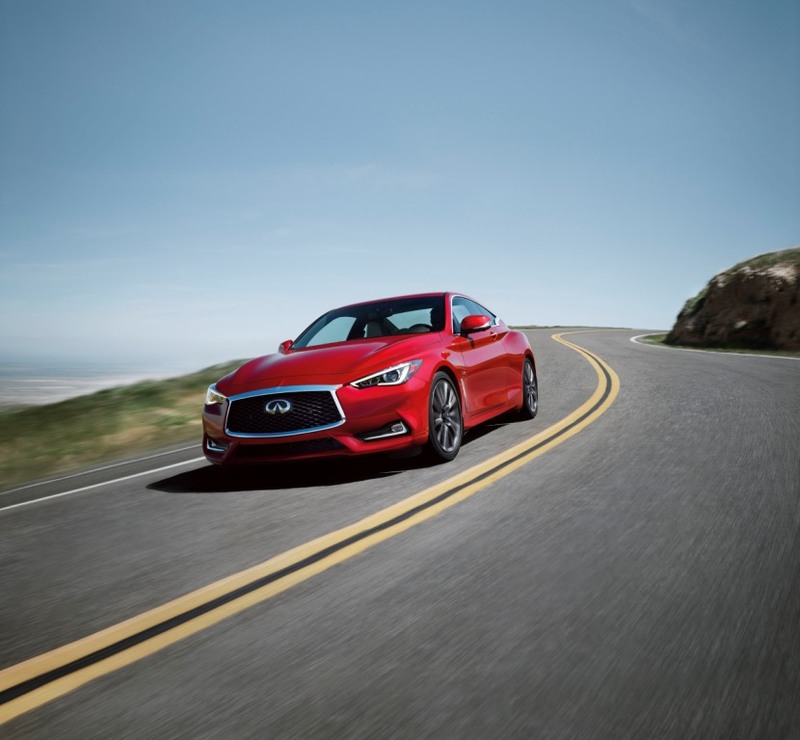 The Q60 is offered in eight grade levels, including a choice of three turbocharged engines. 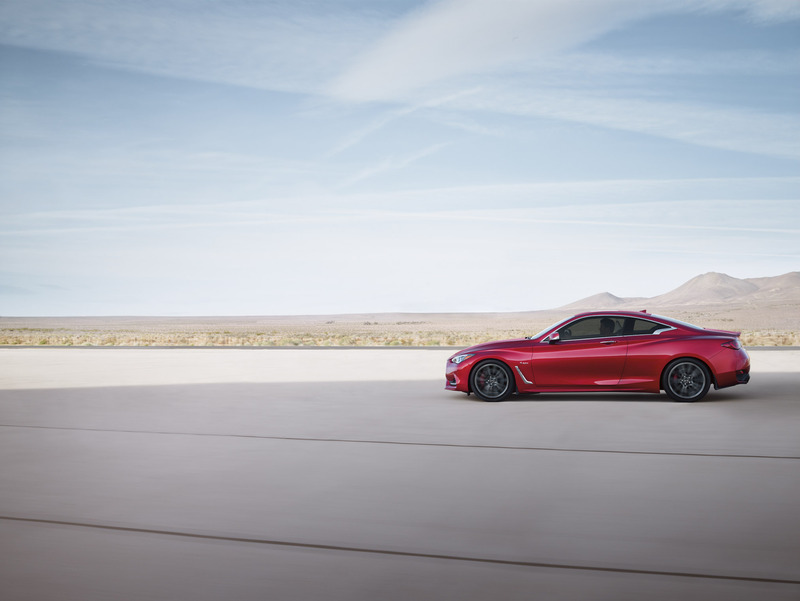 The Q60 Red Sport 400, the performance flagship of the Q60 lineup, is highlighted by its 3.0-liter aluminum-alloy DOHC 24-valve twin-turbo V6, which features twin water-to-air charge coolers with two water pumps, optical turbo speed sensor and 14.7 psi turbo boost. 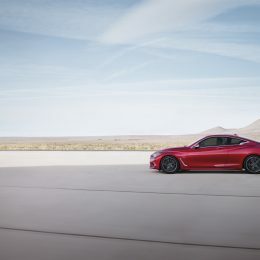 The all-new INFINITI Q60 Red Sport 400 takes the third-generation of INFINITI’s renowned sports coupe into a new level of empowered driving. 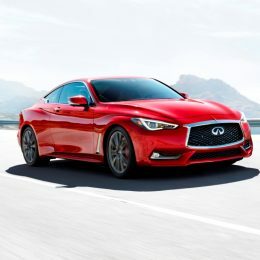 The Red Sport 400 features 400 horsepower and 350 lb-ft of torque from a sport-tuned, high-output version of the new VR-series 3.0 liter V6 twin turbo engine – a more than worthy successor to the renowned, highly awarded “VQ-series” V6 that has been a mainstay of INFINITI performance models for many years. 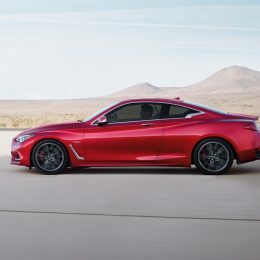 In addition to the larger sport brakes with red painted calipers, sport-tuned Digital Dynamic Suspension, semi-aniline leather-appointed sport seats, aluminum-accented pedals and paddle shifters, the Red Sport 400 further benefits from exclusive Red Sport 400 exhaust tips, unique Red Sport 400 19-inch sport aluminum-alloy wheels (staggered for RWD models) and chrome finished red “S” exterior sport badging on the trunk and front fenders. 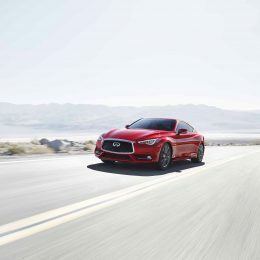 Like all 2017 Q60 models, the Red Sport 400 also stands out with its inspired styling. 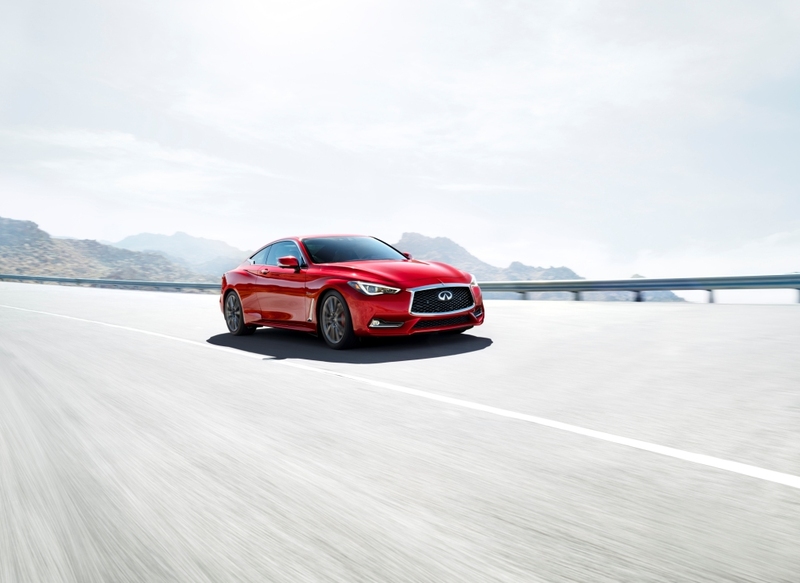 Daring curves, deep creases and flowing lines intensify the sport coupe’s low, wide, powerful stance. 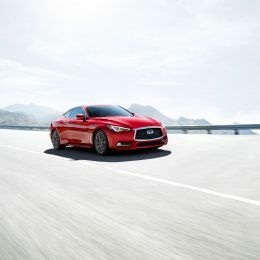 Signature elements like eye-inspired headlights and double-arch grille make it unmistakably INFINITI. 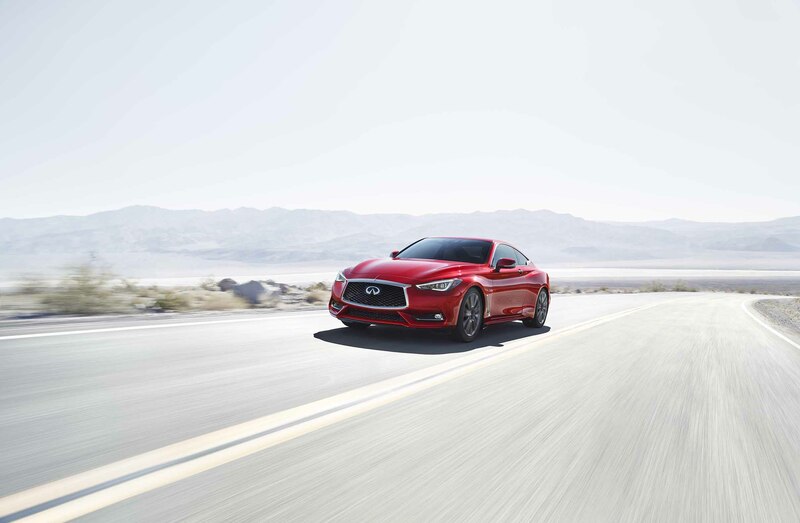 A highly coveted exterior color, Dynamic Sunstone Red, is available exclusively for Q60 Red Sport 400 models. Inside, the Q60 Red Sport 400 interior expresses a sense of artistry and craftsmanship that matches the seductive exterior design. The interior is modeled around the concept of a “driver’s glove” – fitted, personal and tailored for the person behind the wheel.